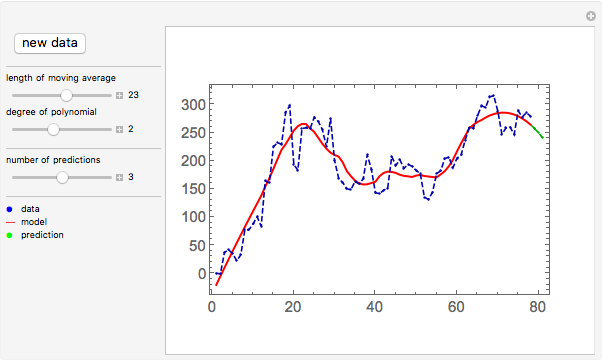 This Demonstration smooths data using a weighted moving average. 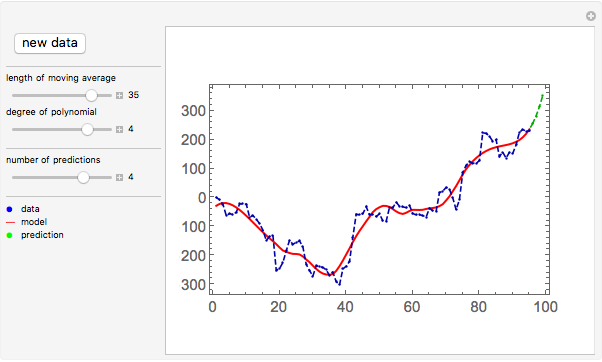 The weights depend on the length of the moving average and the degree of the polynomial (which also includes initial, final, and forecast weights). 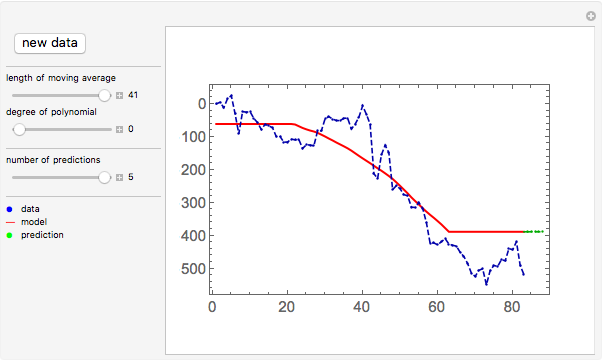 To reach a simple moving average, set the degree to 0 or 1. 1. T. Cipra, Finan&ccaron;ní ekonometrie (in Czech), Praha: EKOPRESS, 2008. Matus Baniar "Weighted Moving Average"